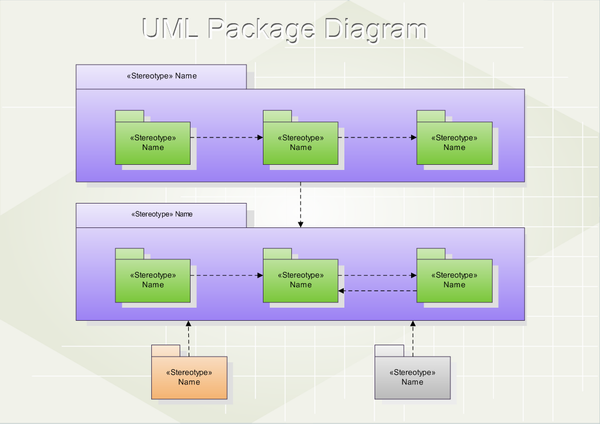 Professional UML package diagram software with rich examples and template. Edraw is ideal for software designers and software developers who need to draw UML Package Diagrams. You can use Edraw to create a UML package diagram to group related elements in a system. One package can contain subordinate packages, diagrams, or single elements. 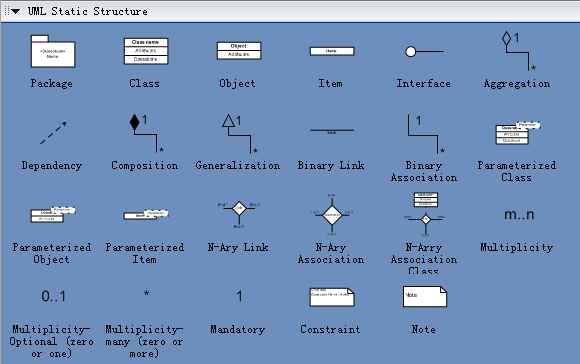 Open the UML package diagram template in Edraw, you will find all the corresponding symbols. Simply drag and drop the shapes you need, and use smart connectors to present the relations. A nice-looking and professional UML package diagram could be finished in just minutes. Edraw is designed for both experienced and occasional users. The intuitive interface and smart tools makes drawing incredibly easy. Once you're done, the diagram could be printed or exported to PDF or other graphic formats. We offer professional UML package diagram software with rich examples and template.